Been a while since I have been sharing some of my knowledge of crystals, so I thought it would be good to speak about quartz, specifically Brandberg quartz..
Brandberg is an area of Namibia in Africa that produces some of the most magnificant examples of the quartz crystal, and this type of quartz is famed the world over. 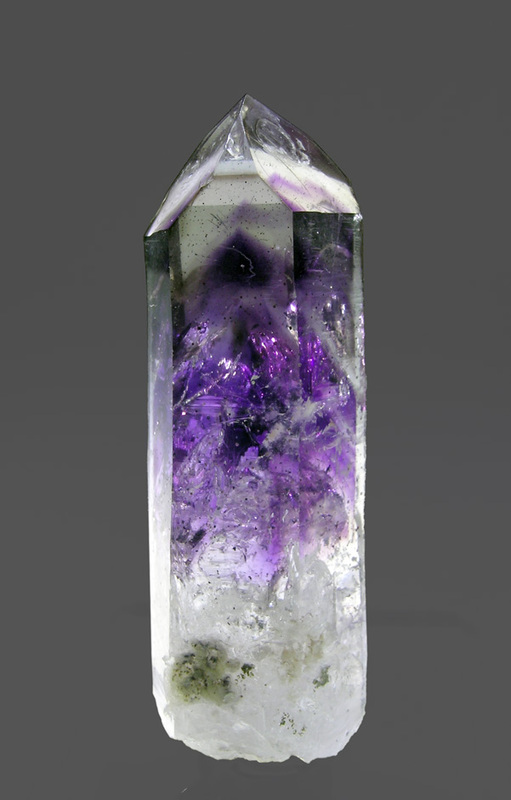 They usually come in glass clear examples, terminated with pefection and contain amethyst phantoms at their base, and manifestation or inclusion crystals are not uncommon. They are perfection of energy to hold, emitting gentle and soothing vibrations into you when you hold them. Its very hard not to stand and marvel at even just a typical example. They are quite easy to get hold of on ebay, and I highly recommened it to anyone that works with crystals i they do not have one on their collection. I have attached some pictures of typical examples of brandberg to show the represented brilliance of them. Quartz is usually used in crystal healing to amplify intention through and contrated through the direction of the termination. Quartz is a pure power crystal. I have heard it ascociated as a "Universal Crystal", and is the most recognized type of crystal, and one of the most common on the planet, and it still manages to stand out from a lot of others. It's what many people envision when they think of crystals, even though there are many types of crystals. Quartz can be icy clear or have inclusions, veils, bubbles, etc. Visual clarity normally isn't important to a quartz crystal's energetic quality and ability to amplify subtle energies, with the colours of quartz can have differing effects based upon the colours of the chakra usually associated with it. Colours of the quartz being used for the chakra as a purpose is only a rough guide as it does not work completely like this, but this can be used as a basis. There are many different colours of quartz, and although it sounds quite simple, it can be very hard to gain access to all of the colours. I will post different types of quartz throughout this thread as its a massive subject. 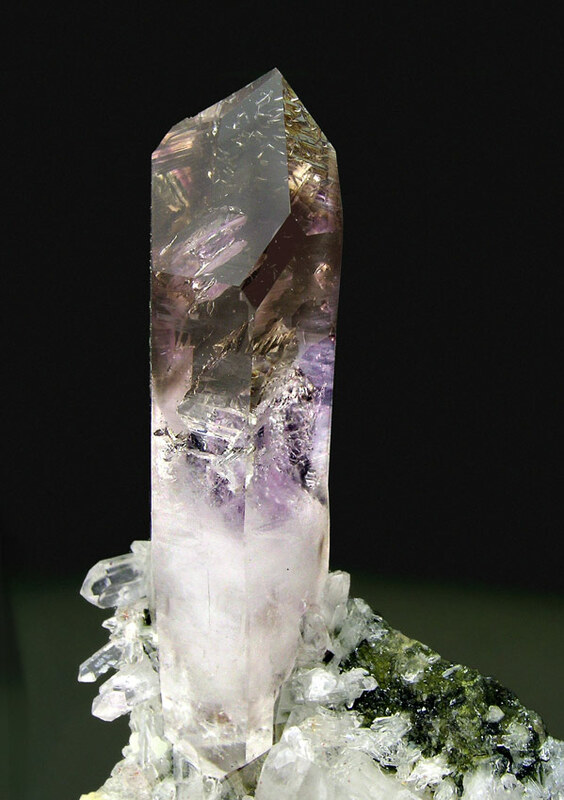 Some of the more interesting and peacefull and beautiful aspects of quartz are the more commonly known Amethyst, which is a classic master healer, but is still a differnt coloured form of quartz. Amethyst is a classic opener of psychic opener, and its violet / purple, which is the near colour of your crown and 3rd eye chakras. Brandberg crystals don't just produce magnificent quality quartz, but produce many different aspects of the same, all with a perticular quality. 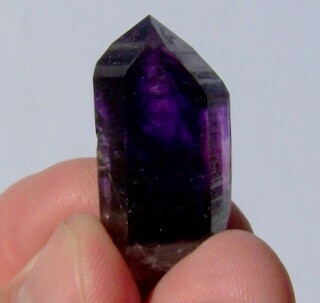 I have attached a picture of a brandberg quartz amethyst as an example of the quality that you can expect from this area, they are second to none. This one sourced from a website specialising in brandberg crystals. But don't rush to buy from this site, just look on ebay. There is no faking the quality and feel of crystals from this area. They are really special. To get real citrine, I think it should have a browner tinge to it, which is different to the basic heat treated amethyst. ( Kinda like a champagne diamond ). It feels way different aurically. You get some amazing specimens from Congo, which are about the best out there. I will dig up some pictures for a review of the difference. I agree that it feels very good just to hold. Mine seems to disappear and reappear on it's own timeline. I will search the house for it and then find in the middle of the floor where I would have had to step on it while I was looking for it. I like that it is the only stone that I know of that never needs cleansing. Do you think there is a difference between the heat treated by man and the natural heat treatment of amythest? Because it does occur in nature also, I think that is where my real confusion lays in the differentiating between the natural and natual heat treated amythest citrine. Do you know if there is a difference in the crystal structure between the two? Its cool that it goes missing, it means you are connecting with the crystals pretty well... This is a common experience with all treasured crystals... I have had several experiences of that like, the most distinct one, was were a crystal fell to the floor in front of me when I was getting a t-shirt out of the cupboard, and to this day, its a mystery for me to explain as anything other than a mystical event..